While none of the top selection were utilizing Netapp’s EF Series, a leader in ultra-low latency storage, many on the short list certainly were. 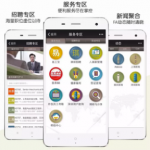 To me, the stand out innovation here is by Shanghai’s FESCO Cloud, which utilized All Flash FAS and NetApp Private Storage, to bring online a new cloud Human Resources offering for startup companies in China. Well, let’s take a step back. In America, we have a few brands that are so commonplace that have become representative for the entire industry, just look at Kleenex, Google, & Fedex. From company names to every day nouns and verbs. Imagine if you were the primary brand for all human resources in China. You already had 30,000 customers including Bose, Huawei, Alibaba , and 85% of the Fortune Global 500. On top of that, you managed 600,000 service employees, 300,000 staff in Shanghai, and ownership of a multitude of endeavors such as job placement companies, medical insurance management companies, and investment firms. Now, what would you do if you were tasked to bring online a cloud offering to try to onboard a large portion of China’s 1500+ startup companies which are formed every single day! This is a mountain of data and compute, and it’ll keep growing! China’s cloud growth has been over 30% year over year (1), and by next year there will be over 1.87 zettabytes of cloud traffic throughout APAC (2). This is a market embracing cloud technologies and pioneering innovation. FESCO is dealing with a new type of worker and executive. Previously, corporations and companies with a history in China had a set way of doing things. They were more adept at dealing with the paperwork and processes, taxes, regulations, immigration, etc. Startups & a younger workforce would rather to jump into the work the company was founded for, with the back office operations off their plate. FESCO, through social media familiar user interfaces, tight WeChat integrations, and gamification analytics are bringing in a new era of Human Resources. Everything in their new startup employee self-help platform (e-HR) is geared towards an internet-enabled millennial audience. Making employee information management, attendance, salary, performance management, and medical insurance easy both for employer and employees. • Control – Provide proper ownership and governance of data no matter where it may be located. • Access – Easy to get to data whether in a datacenter, at headquarters, or on the internet. The analyst firm 451 research reported last year (3) that 68% of companies which were formerly solely public cloud hosted, migrated their applications back to hosted-private or on-premises private clouds towards a hybrid methodology. Data portability and ownership are key! NetApp Private Storage gives you the best of both clouds: Private for data sovereignty, and Public for unlimited compute scalability. To just scratch the surface of Cloud Fault tolerance and data portability, the demonstration at NetApp Insight 2015 by @NetoFrom Brazil ( https://www.youtube.com/watch?v=UluLv_YXx-o ) clearly illustrates that NetApp, and their DataFabric vision are years ahead of all their competitors in bringing this together. With NPS, customers in China such as FESCO, can choose between a localized National Cloud of AWS (operated by SINNET) and Azure for Netapp Private Storage. 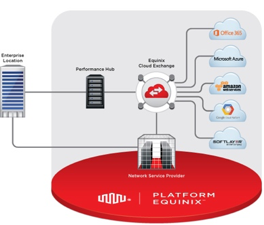 Luckily, throughout the US and Europe, we have many more presence locations through Equinix to AWS, Azure, Google Apps, SoftLayer, and others. Additionally, we can utilize NPS for Office 365. FESCO is flourishing with a fresh startup culture and mindset, as is their latest cloud offering. Like NetApp, they are often voted as one of the best places to work, and do good for the community. FESCO allows 2-3 days off a month to volunteer to charities such as children’s homes. The heart of a happy employee shows in the quality of the product, dedication to the customer, and the innovation that truly drives a company forward to success! FESCO and Netapp are a perfect partnership! This session will leverage the skills and experience of the NetApp® A-team, providing the customer with a varied view from strategic vendors, partners and NetApp on the Data Fabric Vision. Come and listen to the NetApp A-team discuss their view on data fabric, ask the questions that have been bugging you and learn how NetApp Data Fabric can help the way your business grows. 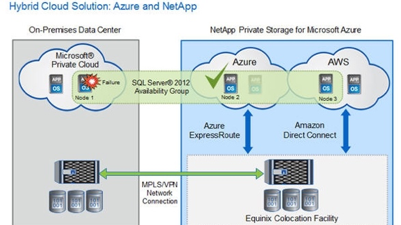 All Images are courtesy of their respective trademark holders, Netapp, Equinix, or FESCO Addeco.